Everyone is still talking about the parade, people are hoping for another pig roast and the smiley face that was mysteriously painted in the parking lot at Wunderler’s Market remains. 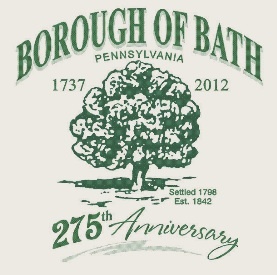 Nearly a year after the 275th Anniversary Celebration in Bath, the excitement has not worn off. And just to make sure the memories of that special week live on, the anniversary committee and co-chair Fiorella Mirabito are proud to announce that the Bath 275th Anniversary Book is currently being printed. The anniversary book, roughly 100 pages filled with memories, photographs and news clippings collected by the Anniversary committee from the celebration that spanned nearly two and half years will be on sale in early June. Quantities of the publication will be limited so get your copies early. The hard cover book will be available at the Bath Borough Office, Daily Grind, Hayes Flowers and S. Seem Antiques & Artisans for $26. The cost covers the production of the book and any funds raised will be put to the general fund of the Borough. 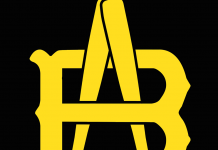 Previous articleRevitalization working for YOU!